At its June 1-2 meeting, the ABA Council for the Section of Legal Education and Admissions to the Bar approved a proposal to completely eviscerate the steps it approved in 2015 to assure greater transparency in reporting law-school-funded positions. Indeed, the Council went even further, changing the rules to make it impossible for anyone to discover what number/percentage of a law school’s graduates are in law-school-funded positions, so long as those positions pay $40,000. The Council did this with no notice, no chance for comment, and no presentation of possible concerns associated with this change. Rather, it simply approved a proposal purporting to simplify reporting of employment outcomes that was submitted by one Council member, Paul Mahoney, whose law school was among several that would benefit from the reclassification of law-school-funded positions. More significantly, in approving the proposal, the Council also approved several other changes in reporting of employment outcomes that merit much more discussion. These changes, discussed below, were not meaningfully discussed in the proposal, nor do they appear to have been meaningfully discussed by the Council in approving the proposal. Once again, there was no notice of these changes, no chance for comment, and no presentation of possible concerns associated with these changes. It pains me to write this, as I hold the members of the Council in high regard and believe the Council has done a very good job over the last several years navigating legal education through uncharted waters, particularly with its emphasis on increased transparency regarding conditional scholarships and employment outcomes. In this instance, however, the Council’s laudable desire to support simplification in reporting of employment outcomes meant that a number of other policy considerations that merit much more attention and thoughtful deliberation did not get due consideration prior to the Council taking action that effectively erodes transparency. The Council should rescind its action, and send out the proposed changes for notice and comment and for consideration by the Standard’s Review Committee, which can give due consideration to intended and unintended consequences in recommending an appropriate set of changes regarding the reporting of employment outcomes. In 2015, after multiple proposals from the Data Policy and Collection Committee, refined significantly in response to comments received following public notice and opportunity to comment for law schools and other concerned constituents, and after multiple hearings, at which the Council also considered a proposal by Paul Mahoney, the Council approved a proposal from the Data Policy and Collection Committee to categorize law-school-funded positions in a separate category “above the line” on the Employment Summary Report. At its June 2017 meeting, however, the Council, without any notice and without any opportunity to comment for law schools or other concerned constituents who might be opposed to the changes, without any effort to consult the Standards Review Committee (into which the Data Policy and Collection Committee has been merged), and without any consideration of implementation challenges associated with reversing course in the middle of a data collection period for the Class of 2017, approved a renewed proposal from Paul Mahoney which has the effect of eliminating transparency relating to the reporting of law-school-funded positions. By approving the proposal at its June meeting, however, the Council NOT ONLY eliminated the “above the line” delineation of law-school-funded positions, it also excluded jobs with salaries of $40,000 or more for which the law school is providing some or all of the funding from even being classified as “law-school-funded” positions. Instead, the Council approved classifying such positions as full-time, long-term bar passage required positions “above the line” and then subclassifying such positions as public interest or government positions “below the line.” They are now completely excluded from the new “Employed by school” category (which the proposal doesn’t actually define explicitly, but implicitly would be law-school-funded positions with salaries less than $40,000). This is the antithesis of transparency. 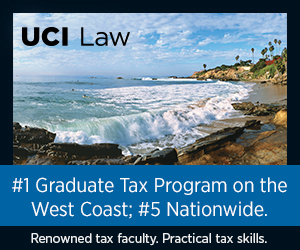 The premise for the change the DPCC recommended and the Council approved in 2015, was that law-school-funded positions were different in kind, because they were not provided by the legal employment market, but were provided solely as a result of a law school subsidy to compensate in whole or in part those graduates in positions for which graduates of other law schools are not allowed to compete. The DPCC also was concerned by significant growth in law-school-funded positions that were classified as full-time, long-term bar passage required positions even though many of these new positions were receiving a stipend of only $1500 to $2000 per month according to information gathered by NALP. -For the Class of 2012, there were 517 law-school-funded full-time, long-term bar passage required positions, roughly 2% of all full-time, long-term bar passage required positions. -For the Class of 2013, there were 774 law-school-funded full-time, long-term bar passage required positions, roughly 2.9% of all full-time, long-term bar passage required positions. -For the Class of 2014, there were 831 law-school-funded full-time, long-term bar passage required positions, roughly 3.2% of all full-time, long-term bar passage required positions. This represents a 60% increase in the number of law-school-funded full-time, long-term bar passage required positions in two years. Notably, for the Class of 2014, the 25 law schools with 10 or more law-school-funded, full-time, long-term bar passage required positions totaled 676 such positions, making them responsible for 81% of the law-school-funded positions classified as full-time, long-term bar passage required positions. Although law-school-funded full-time, bar passage required positions were only 3.2% of all such positions, across these 25 law schools, the 676 full-time, long-term bar passage required positions that were law-school-funded represented 10.7% of all such full-time, long-term bar passage required positions obtained by graduates of those 25 law schools. Again, why does this matter? 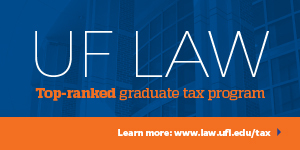 Prior to 2015, the USNews rankings counted these law-school-funded positions as if they were full-time, long-term bar passage required positions. This allowed the 25 law schools with significant numbers of graduates in law-school-funded, full-time, long-term bar passage required positions to significantly improve their employment outcomes for rankings purposes and for reporting employment outcomes to prospective students. In the same year the Council adopted its changes to reporting of law-school-funded positions for the Class of 2015, however, USNews modified its methodology to provide less weight to graduates in such law-school-funded positions. 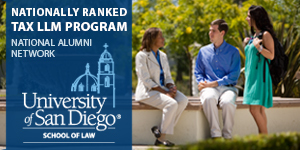 Notably, after the USNews changed its methodology and the Council approved the changes to the definition and classification of law-school-funded positions, the number of law-school-funded full-time, long-term bar passage required positions dropped dramatically – to fewer than 400 for the Class of 2015 and only 344 for the Class of 2016. While the reclassification of law-school-funded positions may be the most disturbing component of the Council’s action in approving the proposal at its June meeting, it is not the only disturbing aspect of the Council’s action. The proposal consisted of a short memorandum focused on two things. First, the proposal suggested simplifying the Employment Summary Report by consolidating all short-term or part-time positions into one new category that is “NOT full-time, long-term.” This has the effect of making four columns into two columns on the Employment Summary Report, which is significant simplification. This might be a good idea. It is not clear that prospective law students or other observers have paid much attention to whether a non-full-time, long-term position is short-term rather than part-time. Rather, they appear to be focused on whether a position is full-time, long-term, or not. So this suggestion might be a wonderful idea once everyone has had a chance to think through things a little and make sure there aren’t any unintended consequences. Second, the proposal suggested the change described above regarding the reclassification (and obfuscation) of law-school-funded positions. Consolidates two judicial clerkship categories “clerkships – state and local” and “clerkships – other” into one new combined category. As further evidence of the Council’s lack of attention to detail in approving the revised Employment Summary Report, no one apparently flagged the fact that the combined law-firm categories mentioned in item 3 above have overlapping numbers. Thus, it is not clear which category one belongs in if someone works for a 10-lawyer firm or a 100-lawyer firm. These many additional changes, which were not discussed in any detail in the proposal, or apparently during the Council deliberations, are problematic for several reasons. This is just not accurate. First, the listing of the total number of graduates is very important and useful information and its elimination does not make the revised Employment Summary Report more user-friendly and understandable. Second, two categories that are eliminated as separate categories in the revised Employment Summary Report account for more than 3% of employment outcomes for the Class of 2016 – the Unemployed Not Seeking category had 3,271 representing 8.8% of graduates, and the Law Firm – 11-25 full-time, long-term category had 1,644 representing 4.4% of graduates. More significantly, however, the proposal fails to address the outliers in each category for which this is particularly relevant information. For example, the Employment Status Unknown category only had 616 total people, or 1.7% of graduates in the Class of 2016. Yet, there were 18 law schools – nearly 10% of law schools – for which Employment Status Unknown was at least 5%, with six law schools above 10% topping out at 18.6%. But apparently this is not information prospective law students should have available to them. The same is true in the Law Firm – 11-25 full-time, long-term category. This category had 1,644 total people or 4.4% of all graduates in the Class of 2016. But fully 80 law schools had 5% or more of their graduates in this category of which seven law schools had 10% or more of their graduates in this category, topping out at 12.4%. Again, this apparently is not information prospective law students should have available to them. More significantly, however, the consolidation of categories takes an unusually short term view of relevant data. Let’s go back three years to the Class of 2013. At that time, unemployed seeking represented 11.2%, with employment status unknown at 2.3% and unemployed not seeking at 1.8% -- totaling 15.3%. For the Class of 2016, those numbers are now 8.8%, 1.7% and 1.3%, respectively – totaling 11.8%. While the combined total has decreased by 3.5%, the percentage unemployed seeking actually only declined by 2.4%. Consolidating these categories, however, would have obscured the fact that more of the improvement was attributable to reductions in unemployed not seeking and employment status unknown than in a reduction in unemployed seeking. These types of decisions require careful attention and careful thought, particularly given the desire for as much consistency as possible between ABA reporting requirements and NALP reporting requirements. The existing structure of the Employment Summary Report largely tracks the data categories that NALP has used for many years precisely to provide consistency over time AND to provide greater consistency across reporting structures to simplify the work of career services professionals. In approving the proposal, the Council did not appear to give any consideration to these concerns. In reality, however, none of the changes in the Employment Summary Report actually change the way in which career services personnel are being asked to report employment outcomes in the Employment Questionnaire for the Class of 2017. Indeed, suggesting they saw no meaningful connection between these two decisions, the Council, immediately prior to approving the proposed revised Employment Summary Report had approved the 2017 Employment Questionnaire, which incorporates none of the consolidated categories contained in the revised Employment Summary Report as approved by the Council. Thus, for this year, the “simplified” Employment Summary Report will provide no meaningful “simplification” benefit to career services personnel, but will simply mean that important information is more difficult to access. This memo essentially acknowledges the major headaches involved in trying to rewrite the Employment Questionnaire and the accompanying instructions and definitions that would be needed to implement the revised Employment Summary Report. By recommending that the SRC be tasked with revising the Employment Questionnaire, Currier is essentially asking the Council to do what it should have done BEFORE VOTING ON THE PROPOSAL. The SRC is well-equipped to consider the policy implications of changing some aspects of the Employment Questionnaire and Employment Summary Report, is well-positioned to gather public comment from concerned constituencies, and has experience in weighing the importance of consistency between ABA reporting requirements and NALP reporting requirements. It also is keenly aware of the value of designing the information gathering process to simplify the workload of those in career services offices as much as possible. This is what should have happened in the first instance. The Council’s desire to simplify reporting and thereby ease the burden on law school career services professional is laudable. But its failure to provide a meaningful process for airing the complicated issues associated with gathering and reporting employment outcomes information is most unfortunate. The Council would be well-advised to suspend implementation of the proposal until the SRC conducts a thorough review, including providing opportunity for public comment. Again, why does this matter? While this blog posting has highlighted a number of procedural and policy concerns associated with the proposal, as it relates to law-school-funded positions, the proposal amounts to little more than a rankings gambit, something the Council may not have appreciated fully in voting to approve the proposal. USNews decided to discount law-school-funded positions in its rankings methodology in 2015. This has impacted modestly the 14 law schools with 10 or more law-school-funded full-time, long-term bar passage required positions in the Class of 2016 who combined were responsible for roughly 80% of all law-school-funded full-time, long-term bar passage required positions for the Class of 2016. At these 14 law schools, ten of which are ranked in the top-20 in USNews, law-school-funded full-time, long-term bar passage required positions represented between 2.8% and 11.8% of Class of 2016 graduates. Having the Council reclassify these positions as full-time, long-term bar passage required positions benefits these 14 law schools to the detriment of the vast majority of other law schools that cannot afford to subsidize post-graduate employment opportunities in this way. The Council’s decision is an “end run” around USNews, making it impossible for USNews to “discount” law-school-funded positions because they no longer will be identified as law-school-funded positions. In making its recommendations in 2015, the DPCC recognized that some of these law-school-funded positions that law schools were classifying as full-time, long-term bar passage required positions, particularly those with salaries in excess of $40,000 per year, might well be good work experiences for graduates transitioning into careers in public interest work or the government. But the DPCC (and I assume, the Council) still believed these jobs were different in kind than other full-time, long-term bar passage required positions because they are not provided by the market and are not open to competition from graduates of all law schools. These distinctions were the foundation for the DPCC’s recommendation and the Council’s decision to make law-school-funded positions transparent in their own “above the line” category after an extended dialogue and much opportunity for public comment. To reverse this decision two years later, with no dialogue and no opportunity for public comment, and no consultation with the Standards Review Committee, is a travesty that serves to benefit a handful of elite law schools while making it harder for prospective law students and observers to fully understand the extent to which reported employment outcomes truly are provided by the market or are being subsidized by the law school. To do so at the same time as several other changes are made for which there was little discussion of implementation challenges or policy consequences makes the decision all the more unfortunate. I have created a petition, set forth below, requesting that the Council suspend implementation of the proposal and assure careful delineation of all proposed changes required to implement the proposal together with notice and opportunity to comment on all proposed changes before any such changes are implemented. If you share my concerns, please sign the petition and email it to Barry Currier at barry.currier@americanbar.org with a copy to me at jmorgan@stthomas.edu prior to the upcoming Council meeting on August 10-12 in New York. At its June 1-2 meeting, the ABA Council for the Section of Legal Education and Admissions to the Bar approved a proposal submitted on May 30 to dramatically change the format of the Employment Summary Report. Most significantly, the proposal called for a reversal in policy regarding the treatment of law-school-funded positions from the policy and definitions the Council approved nearly unanimously in 2015 (after notice and an opportunity to comment had been provided to law schools and others). The proposal calls for the elimination of the separate “above the line” classification of law-school-funded positions, and the reclassification of some positions so that they no longer count as law-school-funded positions, eliminating transparency for such positions. The Council considered the proposal at its June 1-2 meeting without presenting the proposal to the Standards Review Committee for comment and without notifying the broader community and requesting comment. In other words, in what could be considered a “contested matter” given the extensive dialogue that took place in 2015, the Council basically heard the proposal, which primarily benefits a handful of law schools, as an “ex parte” request for changes to the policy, while providing those who might be opposed no opportunity to be heard. Somewhat remarkably, in fact, the Council approved the proposal immediately after approving the Employment Questionnaire (including instructions and definitions), even though the Council’s approval of the proposal effectively requires significant rewriting of the Employment Questionnaire it had approved moments earlier. Some aspects of the proposal may make sense after due consideration in terms of simplifying the reporting of graduate employment outcomes. That said, the complete reversal of policy regarding law-school-funded positions, and the elimination, without discussion, of several other categories of employment outcomes that are being consolidated, highlight the profound need for more deliberate process with notice and opportunity to comment. b. provide notice of all proposed changes to the Employment Questionnaire and Employment Summary Report and an opportunity to comment on the proposed changes before the Council takes any further action to implement the proposal. Email your signed form to Barry Currier at barry.currier@americanbar.org with a cc. to Jerry Organ at jmorgan@stthomas.edu. This reeks...What a slimy cartel. This is really disgusting and can't be justified or defended on any reasonable basis. It seems like we are going backwards if the goal was to protect our students as consumer of our products. Can't say I find this surprising, given the change in leadership at the Department of Education since NACIQI threatened to pull the ABA's accreditation powers for exactly this sort of nonsense last summer. Now we have the neo-Calvinist whose family money was made via the barely-legal pyramid, I mean multi-level marketing, scheme known as Amway in charge of making the decisions. Shocker! She's in favor of private, for-profit, and scurrilous actors escaping regulation and scrutiny. Perhaps Senators Grassley should be made aware of this move, given that it was his consternation in the wake of early 2010's reporting on the law school crisis that caused the 'modern' ABA employment reports to come into existence. Senator Barbara Boxer, who shared Grassley's ire towards the ABA over all this, is no longer in office, but her successor is Kamala Harris, who I suspect may take a dim view of this retrograde motion by the ABA. How dare law schools hire their own graduates. It's almost as if law schools think their graduates might be useful, productive employees if given an opportunity to prove themselves. Dastardly! We must stamp this evil practice out with a disclosure regime designed to shame and embarrass the scoundrels giving their students work experience, connections, and a few bucks. It is O.K. and even admirable to hire students. It is not O.K. to strategically omit/hide critical details on the nature of these "jobs" from prospective students. If a large percentage of a school's graduates are employed in jobs lasting one year and a day, for 41k, shouldn't prospective students be able to discern that from the school's reported employment data and choose schools accordingly? What straight-faced argument can be made against providing such a basic level of consumer information? By the way, we got great insight into the "value" of these jobs when the disappeared overnight after U.S. News changed its ranking formula. If these were real jobs, aimed at providing "work experience, connections and a few bucks," then why'd they suddenly dry up? Wouldn't they continue providing those same benefits to students regardless of U.S. News' ranking formula? They dried up because they were largely (not all, but most) a rankings ploy, and the schools predictably and shamelessly dumped them when the rankings benefit went away. The salary numbers should at least reflect law schools' claims. Since it's a "million dollar degree," the cutoff shouldn't be $40k. It should be the national median for those with a bachelor's degree (about $55k) PLUS the JD golden ticket spread over 30 years (about $33k). Make the cutoff $88k. Anything below that and by many law schools' own claims the degree is underperforming. If U.S. news rankings encourage law schools to do more to help their students than they otherwise would, that seems like a pretty good side effect of rankings. Should rankings only encourage law schools to throw money at the cream of the crop to recruit them, or do we want law schools to try to help their students who are struggling? Full time starting salaries for bachelor's degree holders with humanities degrees are only a little over $30K at the mean, and not everyone with a BA gets a fulltime job. $40K is lower than the $60K median starting salary for law grads or the $80K mean starting salary, but it's still higher than a lot of public defenders and prosecutors make. Again. The point is that potential consumers of legal education should have access to complete and accurate data on the job outcomes of graduates (which the schools all possess). There is absolutely no good reason for that information should be withheld. Period. So in fact the normative four-year liberal arts major is only making about $10k less than the median law school graduate, even as NALP’s data collection practices create vast overrepresentation of large law firm salaries while collecting a teeny fraction of small law firm data. In the report NALP released early this week, for instance, 28% of reported salaries were $180k, even though only about 1 in 10 graduates wound up at large law firms. If they had collected enough small law firm salary information to make those $180k salaries proportional to the percentage of graduates who landed those Biglaw jobs, well, the median would be lower than it is – even as it is important to note that the median is still down 22% in real dollars from the median for the Class of 2008. And of course the average undergraduate student loan debt is only about a fifth of the average law school debt. As for “a lot of public defenders and prosecutors” making under $40k, well, you are wrong here as well. We had a bit of an existential crisis a few years ago in Massachusetts when the Boston Globe wrote about how Suffolk County (read: Boston) ADA’s and PD’s could, despite the JD WAGE PREMIUM, be counted among the working poor. The Massachusetts Bar Association wrote up a report on the issue; you can read it here: http://www.massbar.org/media/1494238/doing%20right%20by%20those%20who%20labor%20for%20justice.pdf. Pay attention to page 24, as it lists the starting salaries for PDs in every state. Missouri, Georgia, and Kentucky were the only states besides Massachusetts where the state-wide starting salary was below $40k. The report found the national average starting salary for public defenders was $51k. As for ADA’s, in our neighbors New Hampshire they start at $52k and in Connecticut at $60k (ditto for NY). Payscale says the national average starting salary for ADAs is $52,246 and their lowest recorded data point is $43,790. One wonders if the person posting as "Horrible" has a dog in this fight? To help readers understand why Anon says the school-funded jobs were a lot more ploy than altruism, let's look at a couple of examples from well thought-of schools, before and after the change. Emory class of 2014: 52 grads in full time, long term, JD-required school funded jobs. Emory class of 2015: ZERO grads in full time, long term, JD-required school funded jobs. GW class of 2014: 78 grads in full time, long term, JD-required school funded jobs. GW class of 2015: 6 grads in full time, long term, JD-required school funded jobs. "It's almost as if law schools [instantaneously decided that] their graduates [were no longer capable of being] useful, productive employees if given an opportunity to prove themselves." Every lawyer has a dog in this fight. Every student that law schools and the ABA encourages to become a lawyer through misleading numbers is an addition to an already brutal legal market. Everyone who they mislead, who they make money off, also of makes life tougher for all of us. I understand why this is good for law schools--they collect money whether the person gets a job or not. I don't understand why every lawyer who this is hurting (which is all of us) puts up with it. If only there were peer reviewed studies that had done apples to apples comparisons of salaries for college graduates and law graduates using a single nationally representative, highly reliable, federal government data source that includes those who are unemployed. Wait a minute, there is! And law grads are making $30K to $60K more than similar Bachelor's. I'll take it by your goalpost-shifting that you acknowledge your earlier post about ADA/PD salaries and liberal arts salaries was completely incorrect. And what a total shocker that Data has reverted back to MILLION DOLLAR DEGREE. As I recall, multiple lawyers with actual graduate degrees in quantitative social sciences observed numerous flaws in the study, not the least of which is that it oh-so-conveniently stops measuring with the Class of 2008 (kinda; as I recall, the study included like 13 individuals from the ~45,000 graduates that year). Not to mention the Rhodes Scholar-holding economist at the New York Times who was singularly unimpressed by the study, leading to one of its authors to write an amazingly cringe-worthy, 11,000 word appeal to the paper's editorial board. Why not wrestle with the last decade's worth of salary outcomes? Oh, right - because they're awful and therefore shouldn't count because reasons. To gain some perspective on what may be going on at the ABA, it might be beneficial to read this old ATA story on the background of one of the key ABA "experts." Dude, you cannot mix and match salaries from NACE and NALP and Payscale. They have different definitions and approaches to sampling, etc., etc. A survey of employers is only going to tell you about the people those employers hire, not all the people who they don't. Online surveys like Payscale are notoriously unreliable because the people who respond to them are often not representative of the overall population. If you look at reliable nationally representative data (i.e., data from the U.S. census), you see that recent college graduates with liberal arts degrees are typically earning in the low 30s compared to recent law graduates typically earning in the 60s or 70s. Of course some law grads and college grads earn less than the typical amounts, just as some earn more. 40K is not a "McJob". It's more than most individuals earn. Dude, you cannot use the decade-old lawyer salary data from a controversial, not universally accepted study as if it is any way relevant in supporting your earlier claims that, inter alia, liberal arts graduates start at an average of $30k and "a lot of public defenders and prosecutors" start under $40k. These statements of yours were and remain incorrect, and I imagine for many readers that will create a credibility gap in your other statements. I believe this was one of the sticking points for the NYT reporter as well. Yes, Payscale is unreliable; I didn't feel the need to spend another ten minutes hunting down a national survey of starting ADA salaries tp toss at you because you'll ignore it anyway and retreat back to that one study that says nothing on the matter. "They have different approaches to sampling." Since you keep insisting on bringing up Million Dollar Degree (hint: when someone calls Wayne a rich dummy, Batman doesn't always swing down to take a swing at them), riddle me this: for the roughly 90,000 law school graduates in 2007 and 2008, does that study sample more than 30 (0.03%) of them? "$40k is not a McJob."